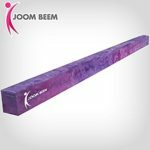 The Joom Beem Low Profile Balance Beam is made of lightweight yet highly durable wood composite with 8160 steel black oxide support braces. This beam’s strong wood core can sustain up to 500 pounds of weight—that’s twice the weight of most of the competition—without bending or warping and requires no central support. 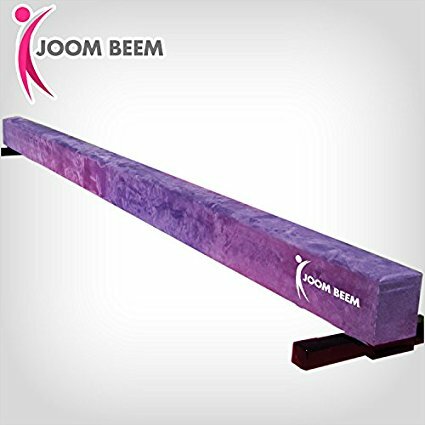 Measuring approximately 8 feet (93inches) x 4 inches, the Low-Profile Balance Beam is regulation size for competitive sports. 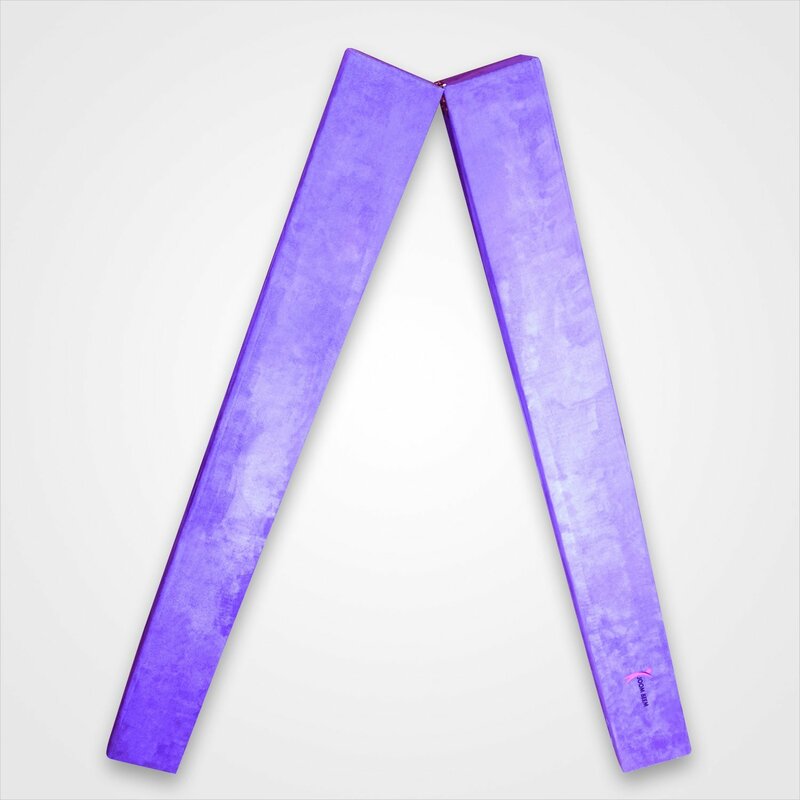 With beautiful and soft purple synthetic-suede, rounded edges, competition-grade, Polyethylene padded top; and hardwearing super tough synthetic suede material, this beam is one of the best values available on the market. 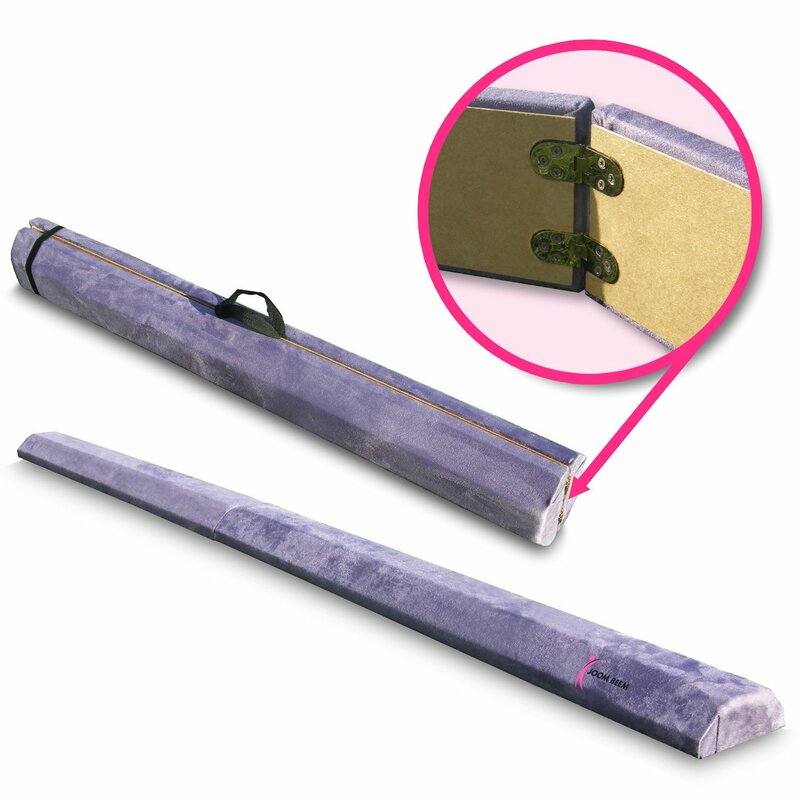 The Purple synthetic suede is not only plush and durable, but this cover is also easy to clean and provides sufficient traction for a secure grip. Joom Beems Patent Pending Durable Wood Composite Core material outperforms the competition with 500lb Test Strength and better “feel” and rigidity than competing brands. Pre-drilled Core For Easy Installation of Leg Braces.